TWFG Insurance Services is a locally owned independent insurance agency. 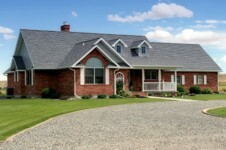 We specialize in Automobile, Homeowners, Renters, and Flood insurance policies. We offer Business and Life insurance policies, We are licensed to sell insurance policies in Maryland, Virginia and Washington DC. As your independent insurance agency, we will help you evaluate and compare the products of several insurance companies. 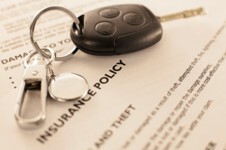 We represent several major insurance companies. Allstate, Progressive, Hartford, Travelers and others. Unlike agents that are captive to one company, we will show you options. We offer insurance packages designed specifically for you. One size does not fit all!! We work for you. We work had to warn you of potential risks, and strive to get you the most value out of your insurance. We explain all of your options in plain English. In addition, we help you make the choices that are right for you. If you ever need to file a claim, we will be right there to guide you through the process. As your life changes, you can count on us, to help you update your choices. Your time and money are valuable. Our goal is to save you both. We keep you, the customer in mind. We have relationships with several insurance companies, allowing you to get the right price with the right service. Whether you have the ideal history, preferred companies desire, or a not so perfect history, we find the right coverage, with the best company, at the best price for you.